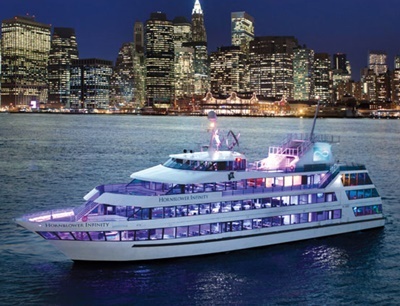 We represent ALL the charter yachts in the NYC area. It's hard to surpass sailing up to the Statue of Liberty with your friends as the sun sets. 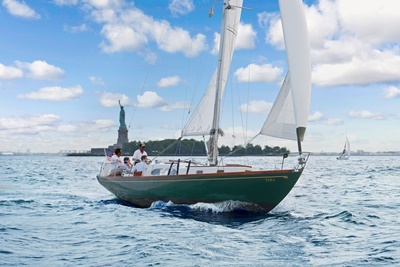 Some sailboats will let you help sail. You also have the option of being a cockpit potato and enjoying the NYC skyline during the sail. There are sailing yachts that will allow you to bring on your own catering and beverages to keep your costs down. Other yachts can provide catering and beverage packages with open bars. If you're planning for a sail on a weekend, you should book well in advance. 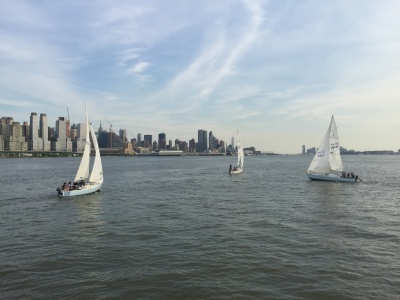 Learn to sail on week nights or in a weekend. 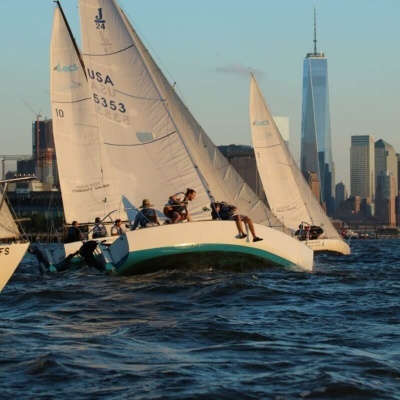 Sailing schools in NYC and across the river in NJ teach courses ranging from Introduction to Sailing to Advanced Offshore Sailing. You can sign up to be part of a group or you can have individual one-on-one lessons. Why not summer camp in the city? One and two week courses for 9 - 15 year olds learning to sail with certified instructors. 9:00am to 3:30pm weekdays. 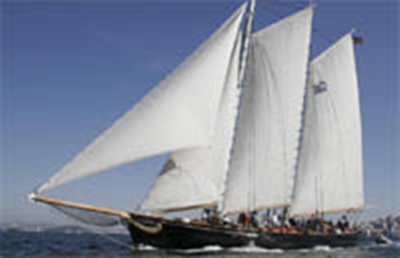 Three-hour sailing courses with four persons and a sailing instructor in each boat. Perfect for corporate teams and units. 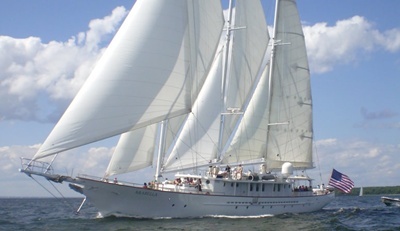 Larger sailing yachts are available for up to 49 persons..